Arts news, interviews and reviews. 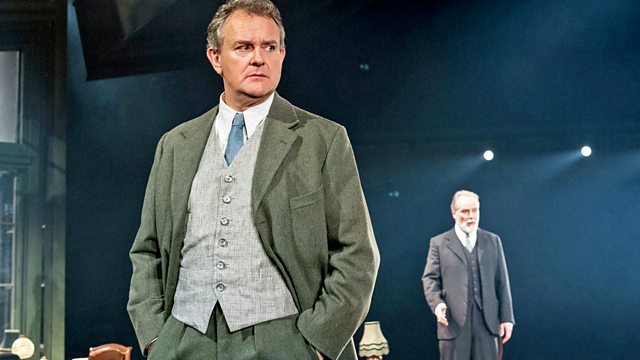 Samira Ahmed talks to Hugh Bonneville about Ibsen's play An Enemy of the People. Plus the Russo brothers on directing Captain America. As Hugh Bonneville returns to the stage after twelve years in Chichester Festival Theatre's new production of An Enemy of the People by Ibsen, Samira Ahmed talks to Hugh and director Howard Davies. Brothers Anthony and Joe Russo on directing the acclaimed Marvel superhero film Captain America: Civil War. As part of our Shakespeare's People series, Juliet Stevenson chooses Rosalind from As You Like It. Alan Kitching has been at the forefront of typographical design for nearly six decades. With the publication of A Life in Letterpress and a retrospective at Somerset House, Alan shows Samira round his workshop. An Enemy of the People is playing at the Chichester Festival Theatre until 21 May. Captain America: Civil War is in cinemas from Friday 29 April, certificate 12A. Juliet Stevenson discusses Rosalind from As You Like It. A Life in Letterpress by Alan Kitching is part of the Pick Me Up Festival at Somerset House, London which runs until 2 May.